The estates receiving LHS works in 2014/15 are Argyll Court on New Park Road; Arlington Lodge on Brixton Hill; the Saxby Road Estate; and a number of street properties managed by Lambeth Living. Residents will be able to see mock-ups of a kitchen, a bathroom and other materials. This will be a chance to speak about any questions or concerns with the LHS programme. 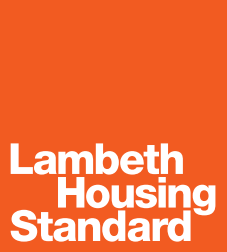 Staff from Lambeth Living, Moores (who will be fitting the kitchens and bathrooms) and their partners from Mears (the contractors who will be carrying out the work) will be at the meeting to talk about the improvement works planned for your homes. Residents only need to come to one day of the two day drop in session. This entry was posted in Blog and tagged Arlington Lodge, Brixton Hill, events, housing, Lambeth Living, New Park Road, Saxby Road by Martin Tiedemann. Bookmark the permalink.